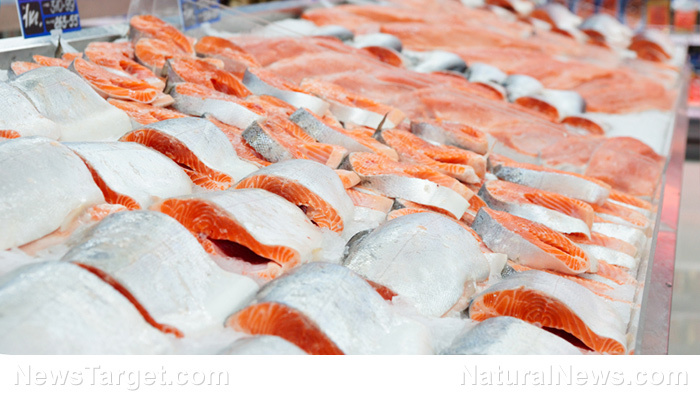 (Natural News) Do you eat canned foods, chicken, seafood, or dairy products? Anything coming out of a U.S. factory during this government shutdown now has an even higher chance of being contaminated with feces, E. coli, Salmonella, pathogens and parasites – more so than even before this crisis. Even infant formula is considered to be at high risk during the government shutdown, while the already dysfunctional Food and Drug Administration (FDA) functions on a skeleton crew for domestic inspections, since they think international food inspections are more important, for some unknown reason. Over two hundred million Americans eat U.S.-processed junk science food daily and wonder how they get so deathly sick with allergies, skin disorders, depression, anxiety, bacterial infections, viral infections, cancer, heart disease, chronic inflammation, and of course, dementia. They just can’t figure it out, and neither can their quack M.D.s, who just dish out chemical pills for their toxic food syndrome (TFS) symptoms. Now, health matters will quickly escalate, while the demented Democratic leaders live in denial about border security and deny Trump the funds for a wall. Holding the American people and their health hostage are the head Democratic-Socialists (Communists) who have their own insidious agenda. Meanwhile, the already corrupt FDA all but shuts down, leaving meat and dairy industries, that already look like concentration camps for animals, with no inspections. The FDA Commissioner, Dr. Scott Gottlieb, says “31 percent of our inventory of domestic inspections are considered high risk.” That’s more than 50 of the plants and factories in the U.S. that have been termed “Confined Animal Feeding Operations” by health enthusiasts who know better than to buy and consume meat or dairy that’s not organic. About 50 million Americans are sickened by food-borne illnesses every year. More than 3,000 of those folks will die from infections from consuming animal feces, viruses, bacteria, parasites and pathogens. At least 125,000 of those consumers will be hospitalized for it. Expect those numbers to skyrocket during this shutdown, while the FDA does a more pathetic job than they already do. The FDA Commissioner has already admitted there are important safety functions they’re not taking care of right now. They’re basically functioning with a skelelton crew that’s in damage control until the furloughed workers return. Currently, deadly threats to public health are going undetected. No, that headline is not a typo. The FDA’s “most important” work will continue during the shutdown because it’s paid for by “user fees.” Instead of inspecting America’s food supply for deadly E. coli and Salmonella, they will be spending the money they have on keeping the flow of drugs and tobacco constant. All this while the FDA’s 5,000 food inspectors are sitting on their hands, waiting for Nancy Pelosi and Chuck Schumer to decide that U.S. National Security is important. Meanwhile, illegal immigrants are adding to the health chaos by flooding our country with more diseases, parasites, and pathogens, just to add to the food crisis. The “most urgent inspections,” says the FDA Commissioner, once the government is reopened, would be at facilities where there are already major safety issues, like factories that breed salmonella and listeria, and have other horrific hygiene issues that also contaminate food (think of cheese, eggs, meat, and milk here). The Center for Science in the Public Interest (CSPI) has expressed alarm about exactly why the FDA has put more priority on import screening than domestic inspections, and wants a published list of which critical inspections have been suspended. Tune into FoodSupply.news for more information about the virtually useless FDA and the filthy, inhumane CAFOs across America that spread disease, even when the FDA is functioning at full capacity. Previous :Junk Food, Obesity, Video Games and Early Death – Is that what America is coming to?